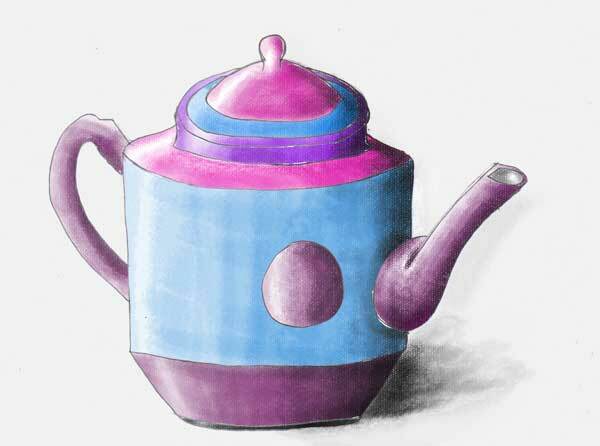 I firstly sketched out my jug and scanned it into Photoshop. I then changed the curves of my image to make it clearer. Using the Magic Wand Tool I selected different areas each time. I painted it using one of the Dry Media Brushes, for a more textured effect. I made sure the brush had a 10% opacity so that I could apply the colour in layers. I then gave the jug a ground shadow, by selecting the background with the Magic Wand Tool. To finish off, I made areas darker with the Burn Tool and lighten areas with the Dodge Tool. Both these tools were good as they added tone without adding extra layers of paint. The second image is the greyscale version of my original, done with Desaturate Adjustment. 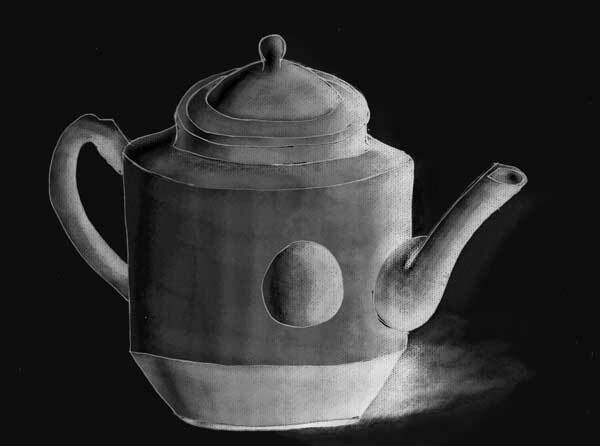 The third image was done by Inverting my greyscale image.